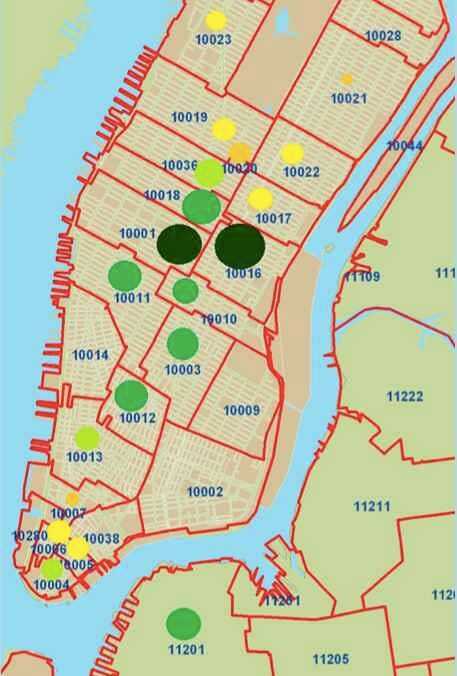 Where Are NYC's Startups and Who Is Funding Them? Editor’s Note: This post was created in collaboration with Chris Paik, who was invaluable in helping me crunch the numbers. He’s looking for an internship in venture capital, so if you like this post, get in touch with him via his blog. 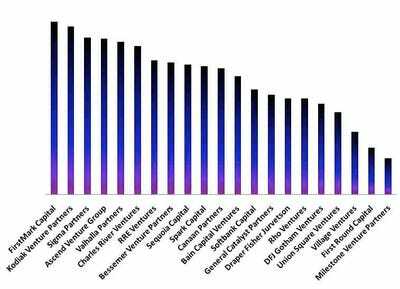 Lots of you enjoyed my post a few weeks ago on buzz and fund size among NYC venture firms. But why not take it further? Why not use all the data on Crunchbase of financings of NYC companies over the past five years? So that’s what we did. 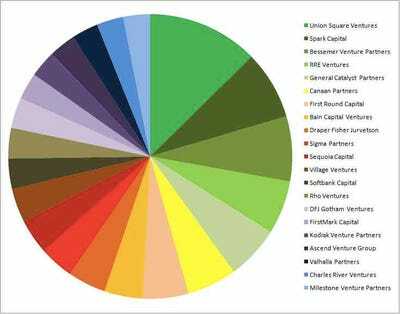 And we got data for 814 venture financings since March 2005 worth a total of $3.1 billion. We were careful to exclude angel and strategic investors, since data around those deals are poor and would make the results harder to parse. 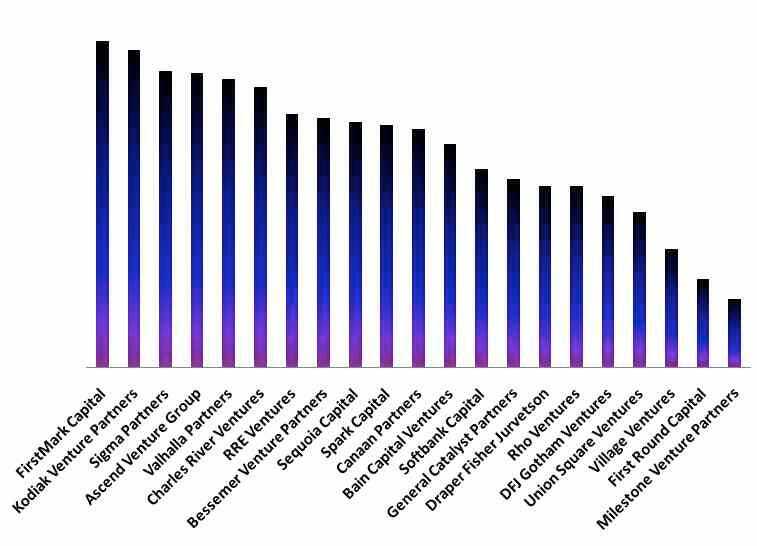 Keep in mind that there is a long tail here — this chart represents 300 total financing events, only 37% of all the venture financings of NYC-based companies in Crunchbase. The rest of financings were done by other firms. You’ll probably notice that there aren’t any labels on the Y-axis. In brief, I don’t trust the absolute data here. It’s often impossible to distinguish the relative contributions of investors in a syndicated deal. For example, if Union Square does a $1 MM seed deal, there isn’t any ambiguity there. But if the company’s next round is a $10 MM round syndicated among two growth capital firms and Union Square, there’s no way to really know how much each firm invested. However, it is probably safe to say that the growth capital firms do bigger deals than Union Square, since they first joined the syndicate at a later (bigger) round. Thus, the relative data is accurate, but the absolute numbers are highly questionable. There are certainly some surprising things here, at least to me. This entire map seems to be shifted a bit further north than I expected; are there really that many well-funded startups in Murray Hill? I also expected to see a bigger presence in TriBeCa. There’s a lot of data here, and I’m sure there will be follow-up posts.